This is my full sized Teal, Czech glass, fire polished car rosary. 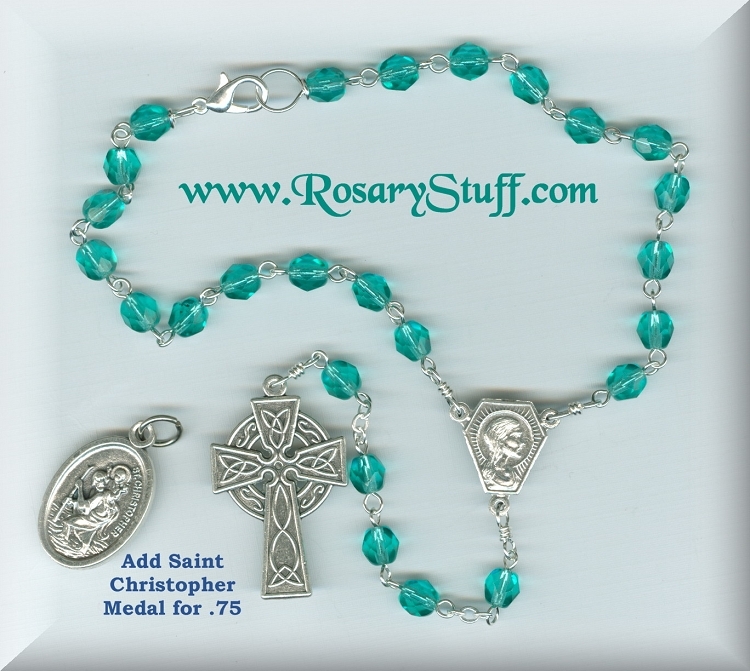 The pretty teal rosary is made using a crucifix and centerpiece that can have either side facing forward. Check out the pictures for more details. 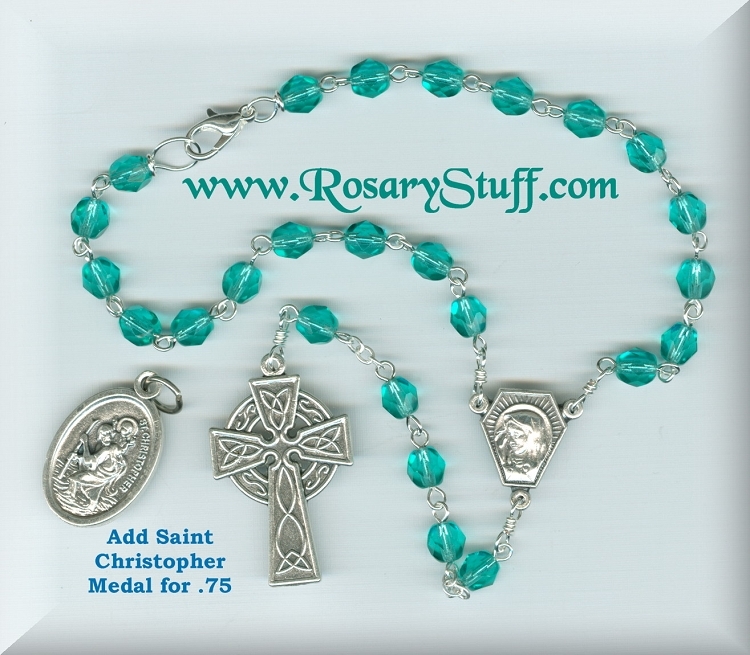 Unlike other car rosaries, these are fully customizable, and contain the complete lower section (instead of just 1 bead). If you would like to get more information about what colors and parts are available in this price range, please contact me. You also have the option to add a St Christopher medal (patron of travelers) to your crucifix for .75, but please remember to let me know which side of the center you would like facing forward with that option. the Rosaries that Phyllis makes are really Beautiful. More beautiful once you see it in your hand. Quality is Most Excellent. I have never had or seen anything as nice.